This Excalibur features a black DLC finished blade with plain edges. 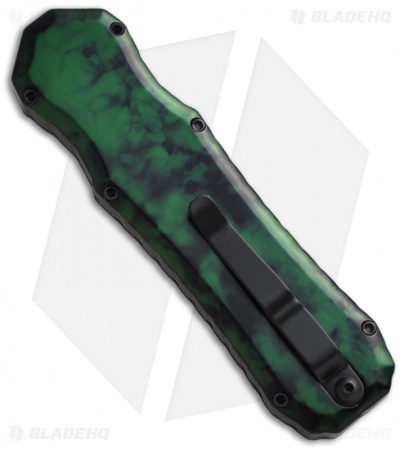 The handle is green marble anodized with black finished hardware and pocket clip. 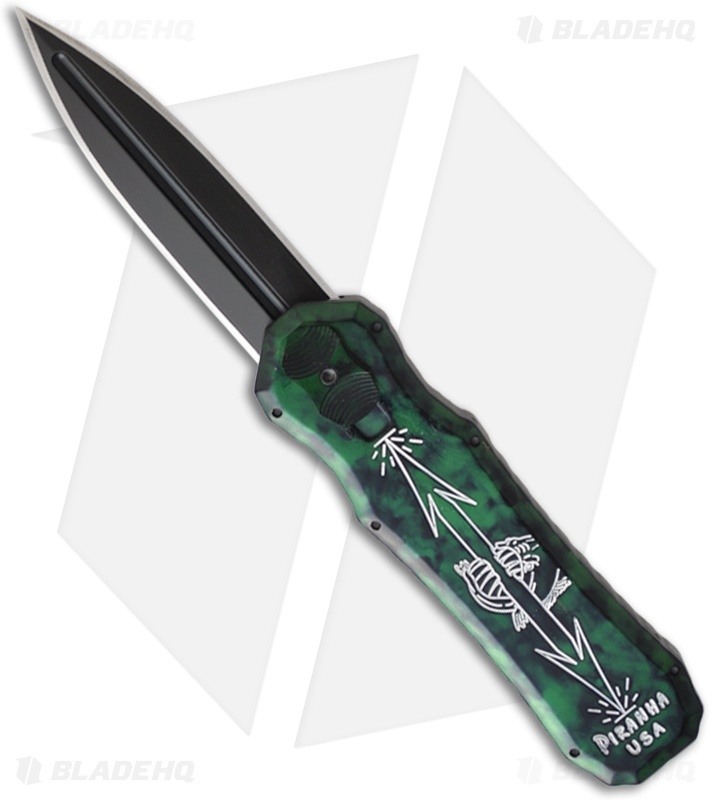 The Piranha Excalibur is a double action out-the-front automatic knife. The action on the Excalibur is solid and reliable. The handle is anodized 6061-T6 aluminum with a sliding firing button on front and a titanium tip-down carry pocket clip on back. 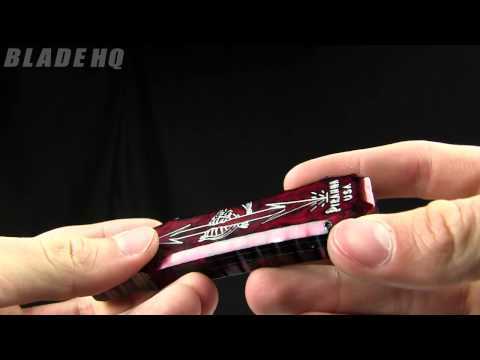 The double-edge blade is 154-CM stainless steel.